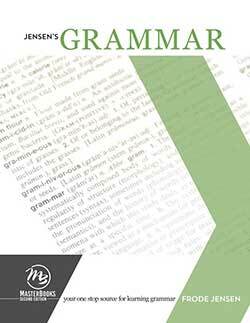 Grammar exercises are designed to keep various grammar skills current. 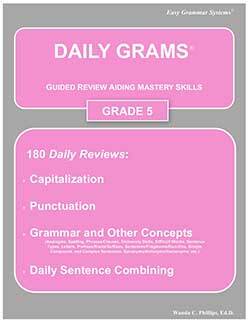 Designed to be used with Easy Grammar, Daily Grams can supplement any English program. 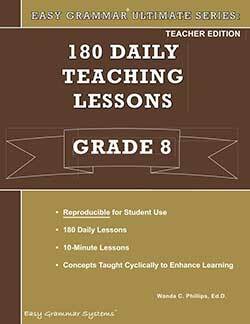 The Teacher Text has reproducible student pages. Where are the answers to Daily Grams? Answers to the student pages are found in the back of the Teacher’s Text. 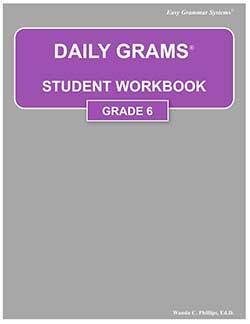 The Student Workbooks for grades 2 to 7 have only the student pages to use with extra students. 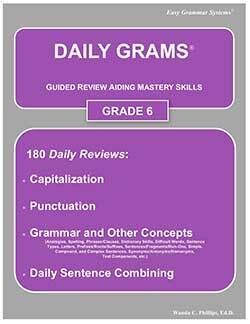 Formatted to review capitalization, punctuation, general concepts, and sentence combining each day. 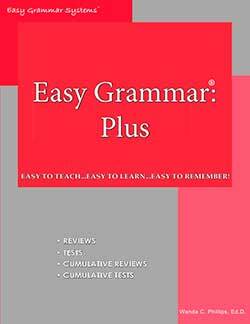 After 7th grade, your students will use Easy Grammar Ultimate in 8th to 12 grades. 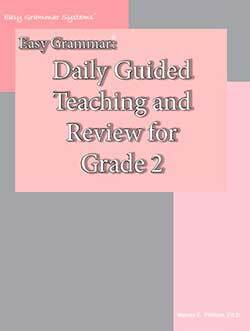 For grade 2, Easy Grammar: Daily Guided Teaching and Review Teacher Text has the Daily Grams 180-day format with Easy Grammar instruction. This book has the student pages plus the answers in the back. 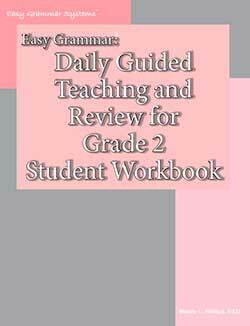 Use the Easy Grammar 2 Student Workbook for the extra student or if you don’t like to make copies. 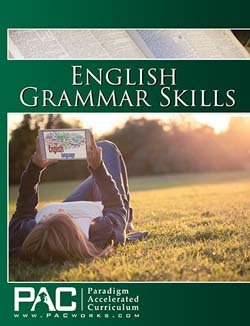 There are no answers in this book. Like the other grades, the Teacher book has all the student pages. Answers are in the back of the book. The Daily Grams 3 Student Workbook has the student pages, but no answers. Like the other grades, this Daily Grams 4 Teacher Text has all the student pages. Answers are in the back of the book. The Daily Grams 4 Student Workbook doesn’t have the answer key. It has the student pages only. 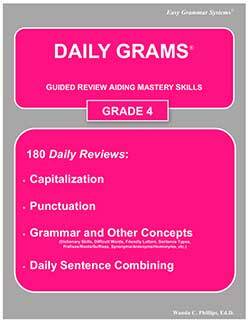 Like the other grades, this Daily Grams 5 Teacher Text has all the student pages. Answers are in the back of the book. 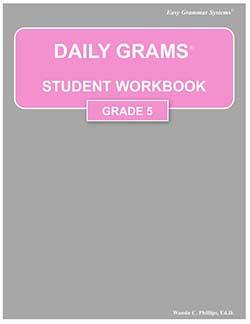 The Daily Grams 5 Student Workbook doesn’t have the answer key and should be used in conjunction with the Teacher’s Text. 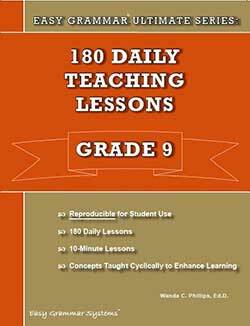 Like the other grades in the series, this Level 6 Teacher Text has all the student pages. Answers are in the back of the book. 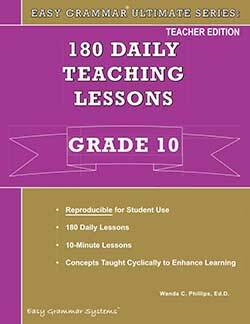 The Grade 6 Student Workbook has student work pages–no answers. The Level 7 Teacher’s Text has all the student pages. Answers are in the back of the book. The Level 7 Student Workbook has all the student pages, but no answer key.